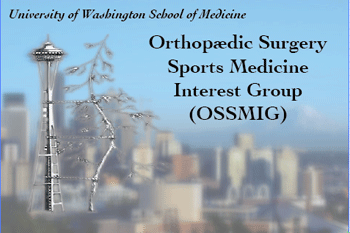 The Orthopaedic Surgery and Sports Medicine Interest Group (OSSMIG) serves to provide University of Washington Medical Students with opportunities to learn about and experience the fields of Orthopaedic Surgery and Sports Medicine. 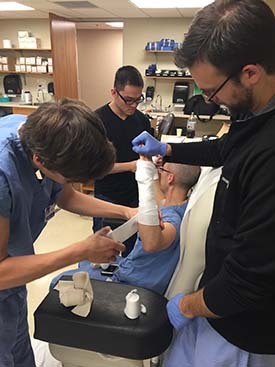 Throughout the course of the year we will be coordinating various activities that allow students to interact with Residents and Faculty in Orthopaedic Surgery and to explore their interests in the specialties. This year we hope to increase OSSMIG's peer mentoring capacity by having regular events with upperclass students who plan to match (or have matched) in Orthopaedic Surgery. 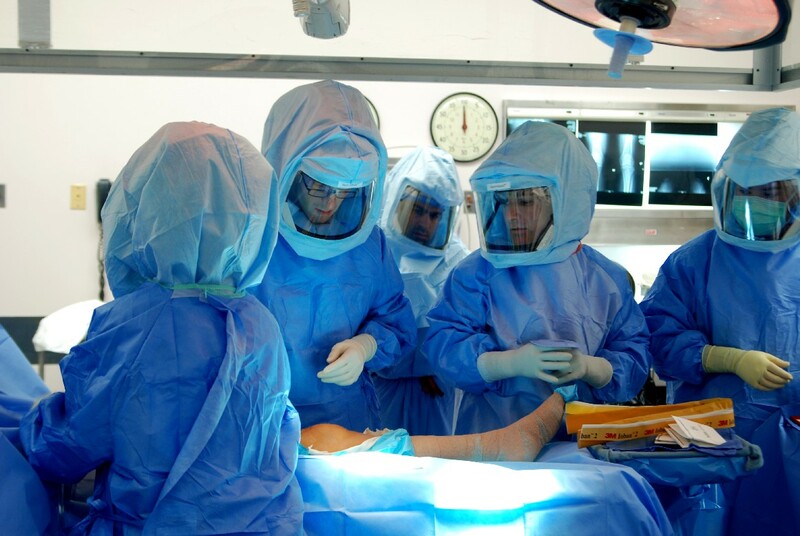 We also plan to host opportunities for hands on learning by coordinating several operative anatomy and musculoskeletal exam workshops. If you have any interest in exploring or pursuing a career in Orthopaedic Surgery and/or Sports Medicine, we look forward to meeting you and your participation in OSSMIG events. Sign up for the OSSMIG mailing list at: http://mailman1.u.washington.edu/mailman/listinfo/ossmig_members.